"An aspiring filmmaker. The dizzying heights of Bollywood. And a strained father-son relationship"
Rishi Vohra relocated back to Mumbai after completing a Green MBA from San Francisco State University and a Masters Diploma in Environmental Law, prior to which he had an extensive career in the Indian Entertainment Industry. His debut novel Once Upon the Tracks of Mumbai was a bestseller and awarded a special mention at the Hollywood Book Festival. His short story, The Mysterious Couple, was selected by Sudha Murty for her anthology Something Happened on the Way to Heaven, published by Penguin Books. 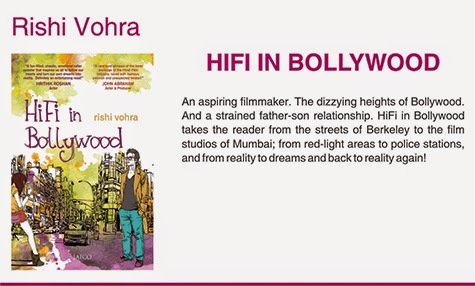 HiFi in Bollywood is his second novel. He writes for delWine and is a Certified Specialist of Wine (CSW).